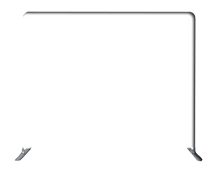 CLIENTS- CLICK HERE TO CHOOSE YOUR CUSTOM PHOTO STRIP! 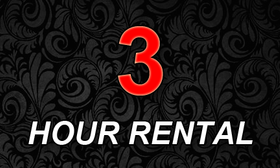 Jimmy Lyles Productions now offers Photo Booth Rentals! Not only will guests enjoy the evening dressing up and taking photos with our props, in just about 15 seconds after their session ends-- they will get a printed photo strip, creating a lifetime of memories from your special event! Each photo strip is customized for every event to include your important dates, events, logos-- just about anything you can think of! 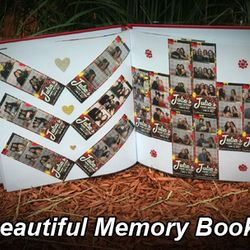 *Add a Memory Book at Full Price! 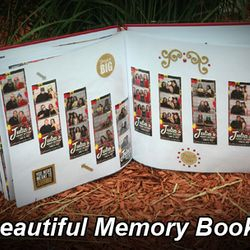 *Add a Memory Book at Discounted Price! 1. How do we customize our strips? 1. 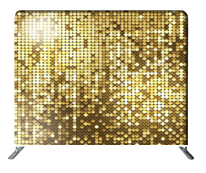 Customizing and choose your photo booth strips is easier than ever! 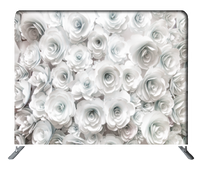 Visit our "Photo Strip Designs" page (under the Photo Booths section) and browse through hundreds of options... or search your theme! 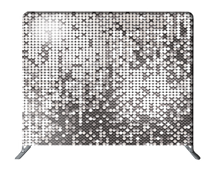 All strips can be used as-is or we can customize colors, fonts, and more to make your design fit your event! If its easier, just click HERE to choose your design! 2. How many prints do we get? 2. When using the traditional 2x6 layout, two copies will print in under 15 seconds from our professional dye-sublimation printers. 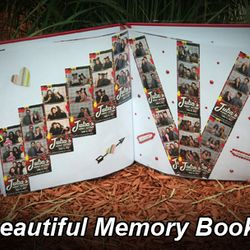 Usually, guests will keep both copies or they can be placed in your scrap book for them to sign. Additional copies of prints can be printed, but downloads are free online and sessions are unlimited-- so guests can take as many photos as they want! 3. Do we get unlimited photos/prints? 3. 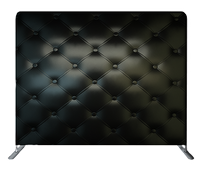 Throughout your event, guests have the opportunity to use the Photo Booth an unlimited amount of times! 4. What type of equipment do you use? 4. We use State-of-the-Art 15 megapixel Canon Digital SLR Cameras, DNP-RX1 Professional Dye-Sublimation Photo Studio Printers, Professional Studio Lighting, and fully integrated touch-screen system in the booth. Dye-Sub Printers are what studios use when you get photos printed and purchase them at a store. Rather than traditional printer ink, they work on ink ribbons-- where quality is never sacrificed or compromised! 5. What makes a Photo Booth so special? 5. 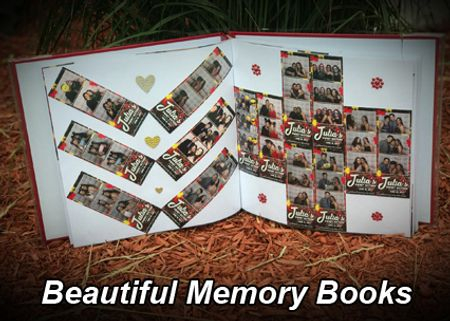 Not only are they a bunch of fun, but many clients choose to use the photo strips as party favors for their guests. For a little extra, you can purchase acrylic photo strip frames for guests to take home and remember the fun they had at your special event! 6. Does the booth run itself? 6. The booth is self contained and operates by guest interaction from start-to-print, but a professional Photo Booth Attendant comes with each rental to help with props and make sure the booth is running smoothly! 7. What is idle time and why is there a charge? 7. Idle time is when our Photo Booth is set up for a period of time before the event starts. Attendents are paid hourly and if the booth must be set up at 4PM for a 8PM start time, an additional $30 per hour will be added to your final price. This is often done with weddings because nobody wants a vendor setting up in a room where you're best man is giving his speech! On the contrary, if you book a DJ Package and Photo Booth Package together, there is no charge for idle time! 8. What discounts do you offer? 8. Glad you asked! Don't forget to mention our offers, so you can save! 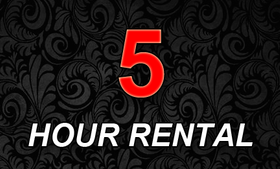 We know special events can get pricey, so we're here to save the day! Besides the automatic $50-- when you book a DJ and Photo Booth Package together, we will give you an additional $100 off! So when you book a DJ and Photo Booth, you can save $150! 9. Why are your props better than the competition? 9. Not all props are created equal! We don't purchase "throw-away" props you can get from a party store or print at home-- all of our props are professionally made to last for years to come! From high-quality (and easily cleanable) PVC signs to hold-- to wooden mustaches, from a huge assortment of styled glasses to our collection of fun hats, our props are a step above the rest!